Take heart! You're just one meal away from honoring God with whole food recipes that follow His design... so you and your family can "look good, feel good, do good!"... whether you've got allergies, sensitivities, eczema, low energy, hormone issues, or just because you feel it's the right thing to do! 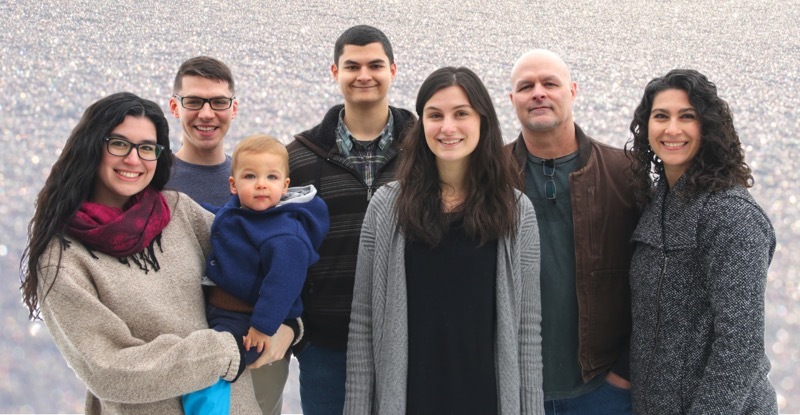 I’m Wardee: a wife, mom of three, grandmother to one (so far! ), traditional cook in Idaho, and lead teacher at Traditional Cooking School. Cooking and being healthy wasn’t always easy for me... in fact, I’m going to share some stories now that make me look... a little stupid. Or at least silly! My story begins back in the 80s, when I was a young teenager. 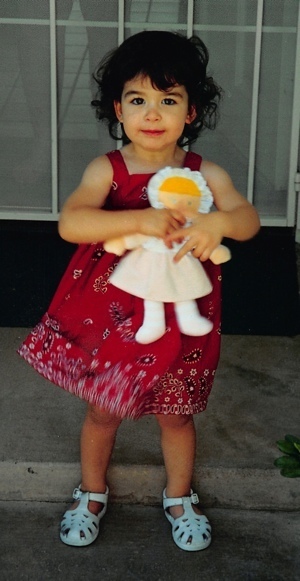 Even that early in life, I was struggling with being the "big-boned" slightly chubby girl. While my sister, just about a year younger, was trim, fit, and cute. She was talking about my sister, not me. I was the fat one. My sister was the one with the figure. You can imagine that I was jealous of my sister, even though I loved her. And I really hated myself. I wanted to be smaller, thinner, fitter like she was. However, even though I knew I was ready for a change, I was totally on the wrong track. I fully bought into the "low-fat" messaging in magazines, TV, and books. Hook, line, and sinker. And since fat was mostly in meat, I declared to my parents that I wasn't going to eat any more meat and that I was going to be a vegetarian. In addition to eating hardly any fat or meat, and not eating very much at all, I exercised a lot. I started out with walking 5 or 6 miles a day. And then worked my way up to running that distance. At least once a day, sometimes twice. Even though I got what I wanted, I didn't feel so good. I had very low energy, my hair was falling out, my female cycle stopped, I was getting horrible headaches nearly every day... and then I caught mono. Not from kissing, mind you, because I was a “good” girl! I probably picked it up from somewhere like the dorm bathroom. Anyway, I think I was susceptible because my immune system was so depressed. 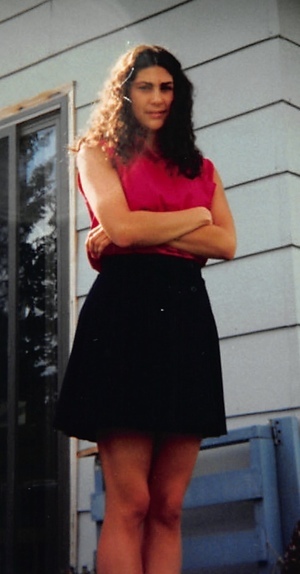 So even though I enjoyed college, in many ways it was downright awful because of how bad I felt most of the time. I had trouble staying awake in class and those headaches really got to me. Yet I kept up my "healthy" habits throughout college because it was the only way I'd ever gotten skinny and I was determined to stay that way! Shortly after college graduation, I got married to my husband Jeff. That was in the 90s and we are still happily married today. When I was pregnant with our first child, I began to crave meat. Like really crave it! Yet I still wasn't there yet (and neither was our growing family). Because even though we ate meat and fat, I didn't pay any attention to the quality of our food, or to how it was prepared, both of which make a huge difference to your health. 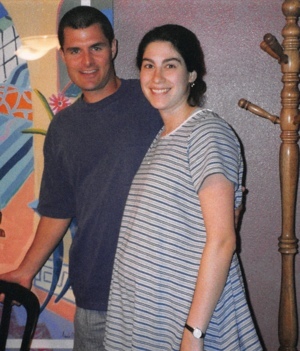 By time we had all three children (this was nearly 20 years ago), we were all struggling with health issues. Like food allergies and sensitivities, seasonal allergies, low energy, and other things. This is when our kids were very little. It was especially bad with our third child, our son. Within hours of birth, his skin erupted with itchy, red rashes all over his body. His knees, elbows and face were the worst. Instead of glowing with new baby freshness (like our other two children), he looked (and felt) miserable in his own skin. We searched everywhere for a solution. 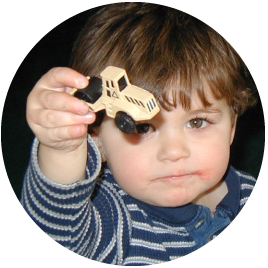 Pediatricians and allergists gave us steroid creams, but I didn't want to use them, and his eczema got worse anyway. I attacked the cabinets. All chemicals, fragrances and toxins were banished. And I spent a small fortune on the finest non-toxic and fragrance-free cleaners and personal products. Our son’s skin continued to get worse. 2-1/2 years went by. Trying to get through each day with 2 young daughters, and a tiny son covered with red, angry, itchy rashes was a really, really hard! In desperation, we tried different diets. And we learned that when we ate high-quality whole foods like free-range, organic chicken, grass-fed beef, wild caught fish, pastured eggs, and healthy fats like butter and olive oil, his eczema totally disappeared and his baby soft skin appeared! We also experimented with old-fashioned food techniques, the same ones mentioned in the Bible, like sourdough and culturing, and discovered that not only did our son's skin stay clear, but our gluten-sensitive and dairy-sensitive children could eat true sourdough bread and raw and/or cultured milk without any trouble. Our family became healthier and happier than we'd ever been. And my husband and I, we felt great joy knowing that embracing God's foods honored Him as well as made us well. I was a life-long sufferer from debilitating seasonal allergies and I’ve been free from the sniffles for more than five years now. I’m also able to maintain a healthy weight and support my hormones. By the way, when I say healthy weight... I don't mean super skinny like I used to desire. I don’t want that any more. I’d rather be strong and healthy with curves rather than be stick thin! And to be honest, I think sooo many women would feel more freedom if they changed their perspective on this, too! Today our home is filled with more joy than I could have ever dreamed possible. My husband and I both work from home. Over the years, we homeschooled all 3 kids, then our oldest daughter got married, and... today we have a happy, healthy grandson toddling around. My heart is bursting! And I have dedicated my life to sharing this one simple message: The healthiest foods are... GNOWFGLINS! GNOWFGLINS is an acronym my husband made up that stands for “God’s Natural Organic Whole Foods Grown Locally In Season”. ​You see, when we first began sharing online back in 2010, we didn’t know what to call what we were doing. So we took all the important key words and put their first letters down on a piece of paper and moved them around on the table until my husband came up with... GNOWFGLINS. I admit, I didn't like it right away. I had to sleep on it. The next morning, though, I woke and said to him, "Let's do it! Let's go with GNOWFGLINS!" I'm glad I did because it captures everything about our way of life and way of eating. GNOWFGLINS are what we eat, and we teach GNOWFGLINS and their preparation to others through our Traditional Cooking School! Our mission is to help you simply, quickly, and easily bless your family with good health, vibrancy and energy by using the GNOWFGLINS techniques taught in my online Traditional Cooking School, so that you can embrace every good thing that God has designed for you and your family. Since 2010, I have taught my Traditional Cooking methods to 10,095 families all over the world. 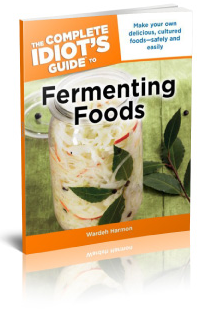 My methods have helped so many families that a major publisher asked me to write a book: The Complete Idiot’s Guide to Fermenting Foods. What an honor! 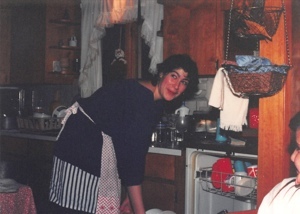 And now, I spend my time restoring long-lost recipes and teaching moms how to use Traditional Cooking techniques and GNOWFGLINS foods to bless their families every day with healthy food they love to eat. And psst... moms get blessed themselves when they save a whole bunch of time and angst following my easy methods! Ready to get started or want more info? Great. Keep reading for the whole scoop on what's waiting for you and your family with GNOWFGLINS inside Traditional Cooking School! Is Traditional Cooking School Right For You? If only we could keep healthy food on the table without spending all day slaving in the kitchen, right? Yet healthy-from-scratch-cooking is often complicated, confusing, or takes too long. It's custom-made for busy moms so you can delight your family with delicious, nutritious meals that are simple and easy-to-make! Yes, even if you're working around food allergies or special diets! Unlimited 24/7 access to all our 300+ hands-on video demonstrations and printable tutorials, organized in 14+ clear, simple eCourses. (To avoid overwhelm, start with Fundamentals eCourse. The rest will be waiting for you when you're ready!) Plus, links to our private Facebook group to ask your questions, as well as links to helpful community resources. The New Member Orientation eCourse is waiting for you upon your first login! Take this quick course to help guide you through navigating the member's area (and get 3 free gifts for completing it). Tons of exclusive, original recipes specially prepared for our Traditional Cooking School members. Complete weekly done-for-you menu plans. Every Friday, you receive a complete menu plan for 3 dinners, 1 breakfast, 1 dessert, and 1 fermented food. Each menu plan comes complete with simple preparation steps, a printable shopping list, a weekly schedule (to help you decide what to make and when to serve it), and a heart-warming family devotional. Unlimited access to our active private, members-only Facebook group. Need help with any of the techniques or recipes? The private group is a supportive learning network of other traditional cooks just like you. It is a fun place to fellowship, visit and connect with other Traditional Cooking School members world-wide. Not on Facebook? No problem! We're happy to support you via email or the monthly meeting (next item). Plus all the course materials are on our private site, so you'll have access to everything! An exclusive, private invitation to the Cooking Masters Roundtable Meeting — Ask Wardee your stickiest questions about traditional cooking, techniques or challenges; and she will answer them live on the monthly call. Monthly drawings for free tools, ingredients, and cooking services that elevate your Traditional Cooking skills to the professional leagues (Hint: Wardee awards the prizes at the Roundtable Meetings, so make sure you’re on the call live!). On-going, first-responder access to new video lessons, audios, and printable tutorials — you get first dibs on fresh new techniques, recipes, ideas and inspiration as soon as they’re released. A steep 40%-off Members-Only Discount on all of our eBooks. Each eBooks sells to other customers for $20, but you get first pick of your favorite eBooks for only $12. Bonus #1: We lovingly call this one your "Thank-You Video" — it’s our way of saying “thank-you” for being a member. 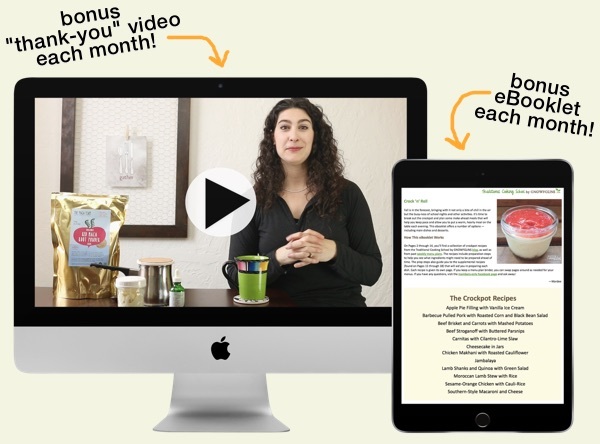 Our monthly bonus Thank-You Videos spill the beans on tasty recipes, charming handicrafts, homesteading ideas and DIY projects. We hold nothing back! (Many of our students report that this is their favorite part of Traditional Cooking School.) Value $10... each month you're a member! Bonus #2: The monthly Accelerator eBooklet — a collection of recipes and articles to help you master traditional cooking faster and make your meals even tastier. Value $7... each month you're a member! 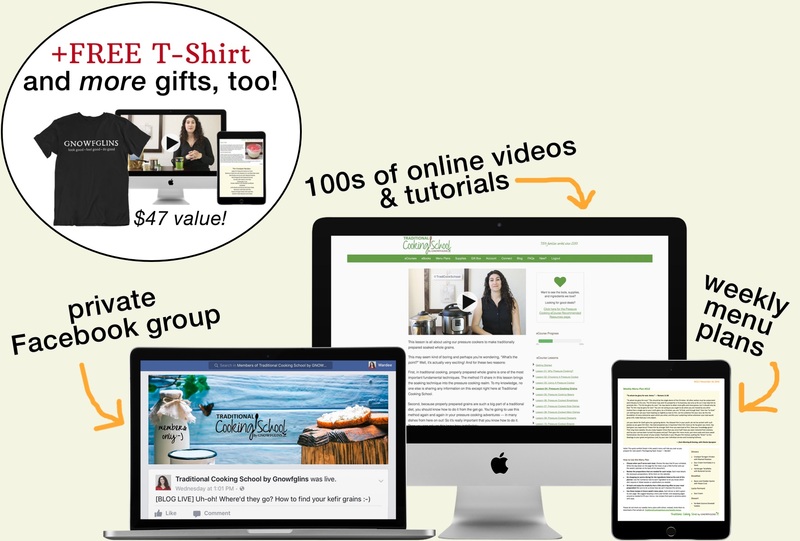 And You Get A FREE T-Shirt That Shares How God's Foods Help Us "Look Good, Feel Good, Do Good"! "Look good, feel good, do good..." There's not a better slogan to live by as you're learning how to naturally and healthfully nourish your body through all its ages and stages! Because this is what often happens as we care for ourselves through nourishing GNOWFGLINS foods! Remember, GNOWFGLINS are the foods we strive to eat for God's glory because He designed them for us — "God's Natural, Organic, Whole Foods, Grown Locally, In Season". First, look good: although God doesn't promise that we'll have earthly beauty, when we eat well, our appearance often improves... with such things as our skin's tone, our hair's new growth and sheen, perhaps weight loss, and just an overall healthier glow. Those around us can't help but notice, too! Second, feel good: also, we tend to get more energy and focus, our digestion improves, hormones balance, and many other healing changes take place on the inside. Finally, do good: these healing changes empower us to better serve and nurture our family and friends as our heart's truly desire to do... all for God's glory! To help you keep this idea front and center (literally! ), I'm sending you a FREE 100% cotton t-shirt that will remind you and your family that eating GNOWFGLINS for God's glory can help us "look good, feel good, and do good"! And if anyone says, "GNOWFGLINS? What?" you can turn around and show them the back of your t-shirt... it explains what GNOWFGLINS means. They're the foods we eat! 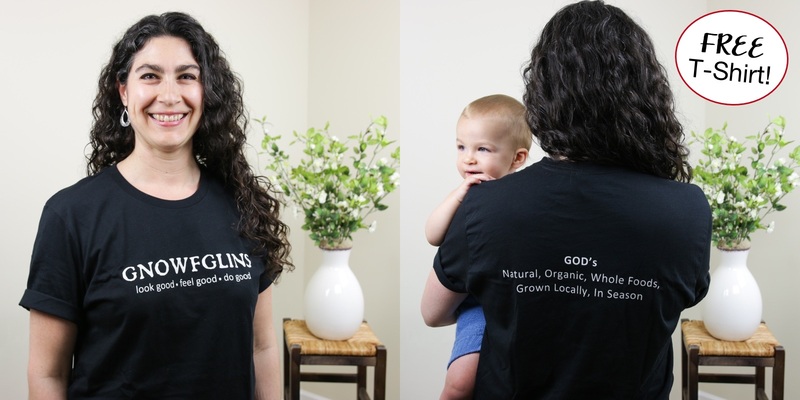 — "God's Natural, Organic, Whole Foods, Grown Locally, In Season"
This t-shirt is completely free (even free shipping) with your membership in Traditional Cooking School! Retail value: $25. 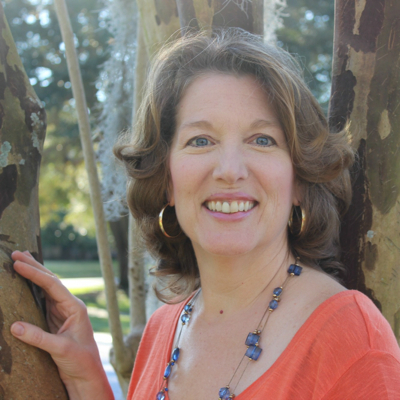 Success Story: How Traditional Cooking School Member Maureen "Accidentally" Lost 100 Pounds! 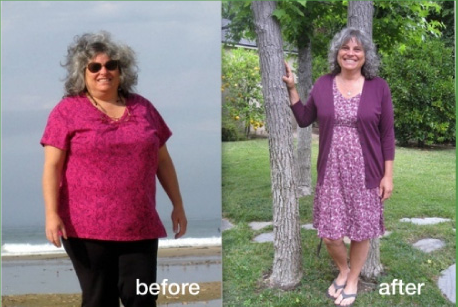 Maureen feels great and lost over 100 pounds using traditional foods... without even trying! Maureen Valdivia has Hashimoto’s Thyroiditis. It is a condition that tells the thyroid to produce too little of the thyroid hormone. It also causes weight gain. As you can see, she has undergone an amazing transformation. What’s her secret? Traditional Cooking School! "I cannot tell you how "at home" I felt in Traditional Cooking School's classes. Wardee's presentations were "from the heart" and I could tell she just wanted to help others. And guess what happened? Though I wasn't trying to lose weight during this exciting time, I lost 100 pounds without even trying. I was following what I learned from Wardee with a particular focus on a gut-healing diet. My symptoms started improving then and I am still improving to this day. I don't feel sick all the time, my brain fog is practically gone, I have my energy back, and my monthly female cycles are so much better. These classes were the turning point for me." 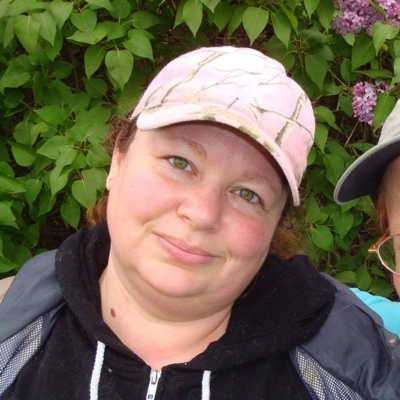 Maureen suffered for more than 10 years with worsening symptoms of Hashimoto’s Thyroiditis. Conventional medicine couldn’t help her and made her feel worse. So she began her own healing journey with the Traditional Cooking School methods we teach. Today, Maureen is feeling oh-so-much-better with improved energy and mental clarity — and she lost 100 pounds without even trying! Isn’t that just awesome? We are so, so happy for Maureen. Look at the joy on her face! Members Get 24/7 Instant Access! Which Life-Giving Course Do You Want To Enjoy First? Traditional Cooking School is organized into 14+ clear, simple modules: Fundamentals of Traditional Cooking I & II, Sourdough, Cultured Dairy and Cheese, Lacto-Fermentation, Dehydrating, Real Food Kids, Allergy-Free Cooking, Cooking Outside, Einkorn Baking, Pressure Cooking I & II, Women's Health, and Healthy Baby. Plus we are always adding new classes... and you get access because you're a member! Here’s a quick taste of what you’ll learn in each online course... Take one, a few, or all of them... they're all waiting inside for you! Psst.... to avoid overwhelm, start with the first course, the Fundamentals eCourse. The rest will be waiting for you when you're ready! This course is the foundation of all Traditional Cooking. The skills in this course were carefully selected to give you a sturdy jumping-off place into the world of Traditional Cooking and a behind-the-scenes peek into how real moms create healthy, nourishing meals that honor God and family. How to make skillet dinners — this dependable formula will save dinner on a busy night. Now it’s time to take your skills up a notch. This course will teach you how to turn your individual Traditional Cooking skills into complete, down-home-satisfying meals that delight the whole family. Plus, a bonus! — an entire video lesson is devoted to preparing tender, grass-fed, BBQ steak (a treat for the steak-and-potato lover in your home). "I was able to prepare a soup for our son that returned home from technical school & was not feeling so well. It is a better version of a bone broth soup than I had been preparing. After eating it, he saw me catching up on some TCS classes and realized that the video I was watching (Fundamentals II) had much of the info about healthy soups. He realized I wasn't just pulling the wool over his eyes. LOL I used Bone broth as the base, added parsley, ginger, garlic, onions, leeks, carrots, celery, turmeric, oregano, and a couple of small potatoes, letting it all simmer. Next, strained all of that, put in the Vitamix and back into the soup with a can of coconut milk. Tasted like healing! We classify your videos as "legitimate" videos!" ~Sheila B. 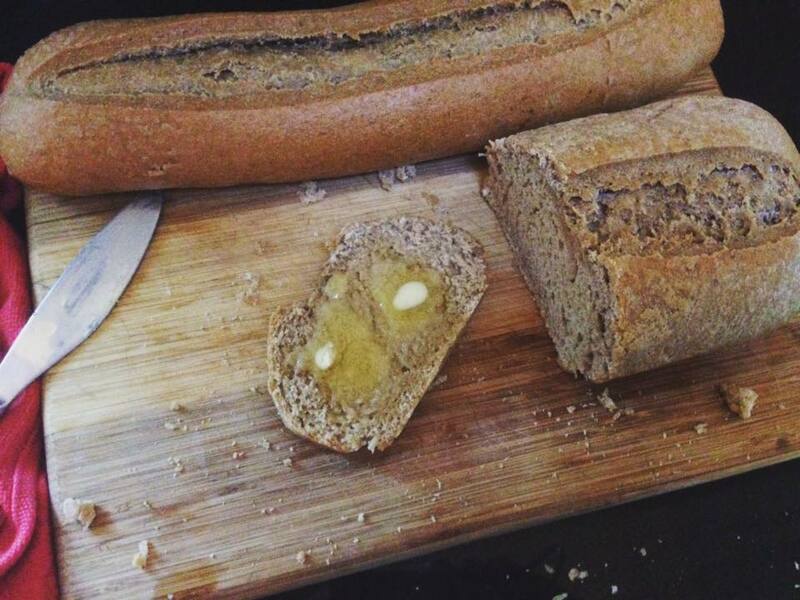 This course is based on one simple idea: Imagine if 5 expert, traditional cooks invited you over for tea and blessed you with all of their secrets for creating healthy, delicious breads that thrill the pickiest eater, satisfy the biggest eater, and support the healthiest eater, all while honoring a frugal budget, fitting into a busy lifestyle and bringing your family closer together. And 2 bonus lessons — Sourdough cookies and even, Bisquick-inspired “impossible” pies! 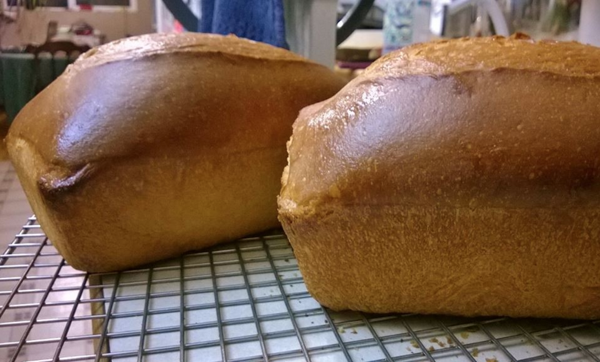 "The Sourdough lessons have been just amazing. I had enjoyed baking with sourdough for over a year, but now I feel a new inspiration and love finding all the wonderful things that I can do." ~Millie C.
Does dairy give you tummy trouble? Once you know the secrets of how to prepare dairy for maximum flavor and easy digestion, you are well on your way to enjoying milk again. 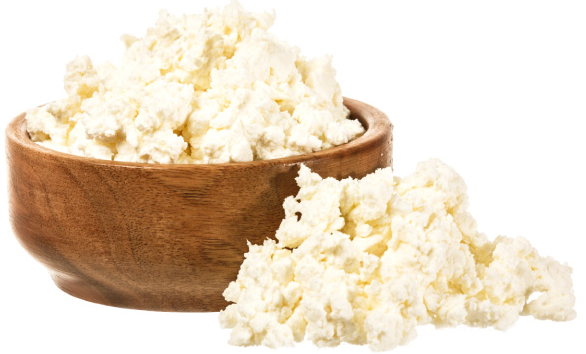 In this course you will learn how to make cheeses, drinks, spreads and sauces that unlock the power of milk’s fat-soluble vitamins, probiotics, and healthy fats. The beneficial organisms that you add during the culturing process cause an explosion of life-affirming vitamins, minerals and enzymes that you can’t get from any other food or cooking process. It’s truly a cornerstone to healthy living. Plus, 3 bonus videos! — How to wax cheese, how to mold and shape soft cheese, and how to make cultured, flavored cream cheese. "You’ve shown me how to transform our food from something we eat into something that heals and nourishes our bodies. 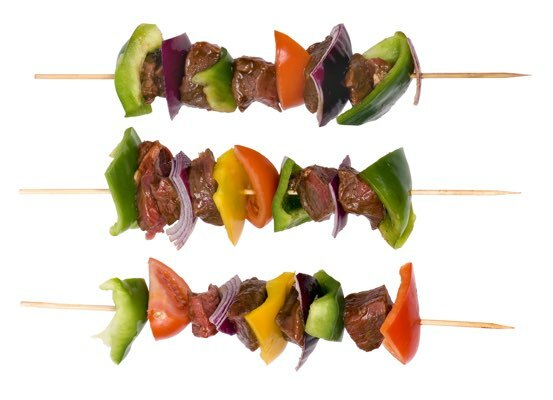 I love being able to prepare healthy foods with my family… Praise the Lord for His beautiful ways!" ~Michelle P.
Did your Grandmother serve pickles for dinner? Long before the grocery store sold pickles in glass jars, moms knew that serving homemade pickles at dinner time was a great way to top off a meal and stop tummy aches before they started. In this course you will learn how to “pickle” foods to make them more nutritious, stay fresh longer, and taste even better by letting the food develop its own complex flavors and pleasing textures. 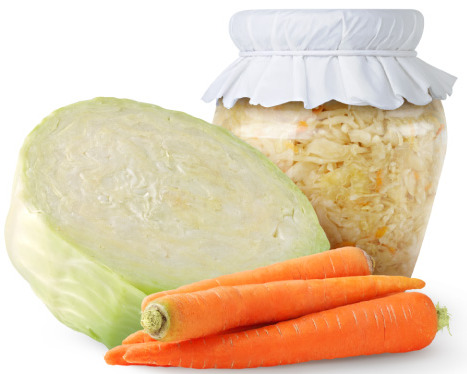 As a bonus, properly fermented foods contain vitamins, enzymes, and active cultures — which help your gut, your immune system, and your digestion. Since 80% of your immune system is in your gut, serving “pickled” foods is one of the best things you can do to help your family stay healthy during cold and flu season. "You’ve shown me that what I thought was a healthy way of eating could be stepped up a notch. OK, a few notches!" 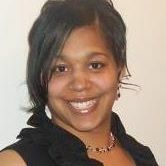 ~Wendy N.
Do you want to give your family peak-season freshness, flavor and nutrition even during the bleak winter months? Then this course is for you. You will learn how to dehydrate every food group — fruits, veggies, broth, meats, beans, grains, eggs, dairy, herbs, and mother cultures — and then bring them back to full richness, flavor and vitality whenever you want a quick, nutritious meal. Why does this matter? Well, if you’ve ever tried to buy grocery store tomatoes in February, you know they look like plastic and taste like rubber erasers. No wonder most kids say they hate tomatoes! Plus, they’re fun to make and taste great! Plus, a bonus lesson! — I have even included a special recipe for Kombucha Scoby Jerky. Yummy. "I love the resource you are to cooking traditionally!" ~Lori P.
Who does the cooking around your house? Would you like to take the day off from time to time? Would you like to have confidence, that your children will be able to cook their own healthy meals now and when they grow up? This course will help you create your own Family Kitchen that churns out amazing food, laughter, silly songs, and life-long healthy cooking skills. "I am learning things that I know will help my children. We can teach them how to use food the way God intended. Thank you from the bottom of our hearts! This course is extremely timely, and, to be frank, an answer to prayer." 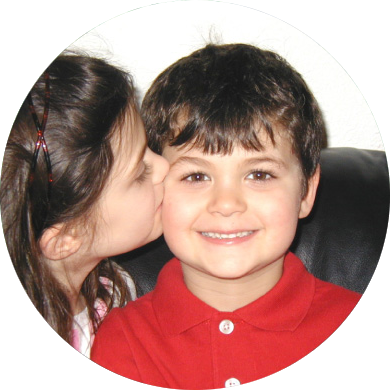 ~Mary K.
Does your child have a food allergy? Do you have to send special (often, boxed or pre-packaged) food with her to sleep-overs? Does she have to sit at the “peanut free” table at school? This course shows you how to cook around your family’s food allergies and sensitivities while serving nutritious and delicious meals that give your child every possible advantage for healing from food sensitivities — all on a shoe-string budget. How to cook Egg Free: homemade egg substitutes, desserts, and baked goods that are as light, fluffy and tender as anything you’d see in an artisan bakery. How to cook Gluten Free: breakfasts, main dishes, breads, baked goods, sourdough, and desserts that are easy to digest, stay fresh tasting, and look as beautiful and inviting as their gluten-full cousins. How to cook Grain Free: breakfasts, main dishes, breads, baked goods, and desserts that allow you to indulge in your love of comfort food without any of the consequences. Here’s your free pass to eat and feel happy. How to cook Sugar Free: desserts, beverages, fermented foods, jams and preserves. Give your taste buds a delicious sweet treat that won’t wreak havoc with your system. How to cook Nut Free: Eating nut-free doesn’t have to mean restrictive or boring — this lesson will show you how to cut out boredom, and ramp up the nutritional value of your favorite foods. How to work around special allergies; plus, I’ll show you the latest research and hope for breaking free from allergies. And, a bonus class! — Ancient Grains. This lesson will show you how to make breads that stand up to being slathered with your favorite spread, turned into sandwiches or enjoyed all on their own. Ancient grains are naturally low in gluten, easy to digest and (once you know the secret) are surprisingly easy to turn into bakery- beautiful loaves of bread. 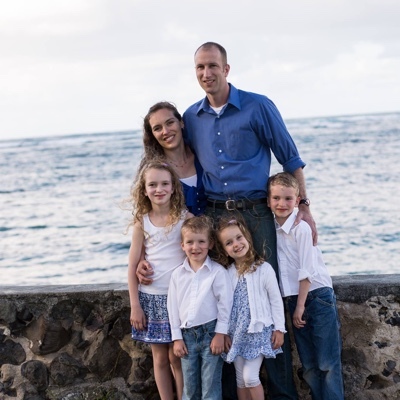 "Our family is experiencing greater health and nutrition and enjoying our food greatly. My family is much less resistant to the changes in our diet since using your course. This is money well spent and I will continue to subscribe." ~Robin M.
Want to do more cooking outside, beat the heat and make life more fun and interesting? Even simple meals taste better when cooked outdoors. The fresh air and the invigorating feeling of being outdoors really work up an appetite! Plus, cooking outside helps slow the family down. My kids will sit around a fire and talk for hours, instead of barreling through 15 minutes of eating at the inside table. It is a great way to connect without having to plan a big vacation or outing. And a few more bonus outdoor cooking techniques, too! "Many years I didn't think I could swing the payment to continue your classes… it has become my one and only Christmas gift from my family to me. I can't do anything else knowing how bad SAD (Standard American Diet) is. DH & my health continues to get better, and our 3 boys are extremely healthy..." ~Sherri M.
Grown by farmers over 5,000 years ago… Einkorn is civilization’s first wheat. 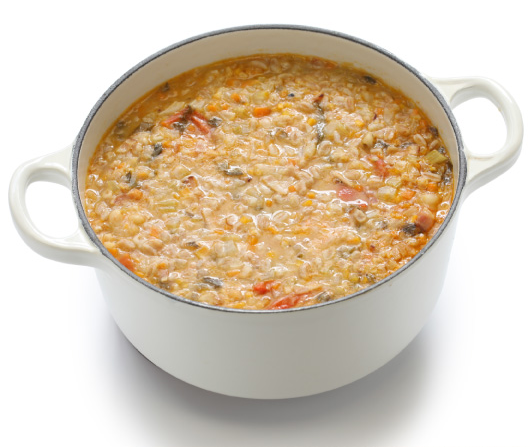 It’s healthy and tasty — and my family loves it! 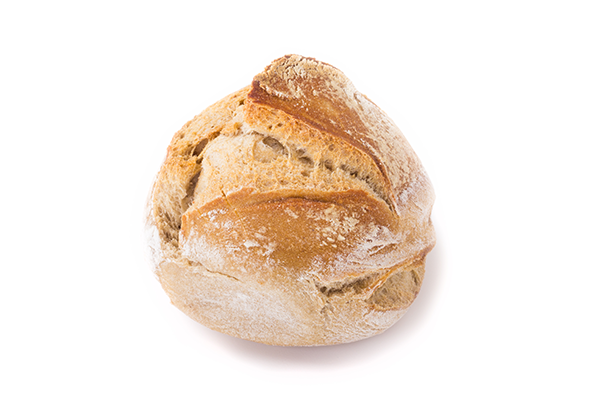 Einkorn’s gentler, older form of gluten has a light nutty texture and no harsh “health food” flavor. This is the wheat that families used long before hybridization, GMOs, and chemical processing. It’s as close as you can get to baking exactly like people did in ancient times. And now, careful, nurturing artisan farmers are bringing it back — growing it on their small family farms so that you can enjoy its flavors and health benefits. After more than a year baking with Einkorn exclusively, I’m delighted to bring you a whole class on Einkorn Baking and share my tips and tricks with you. 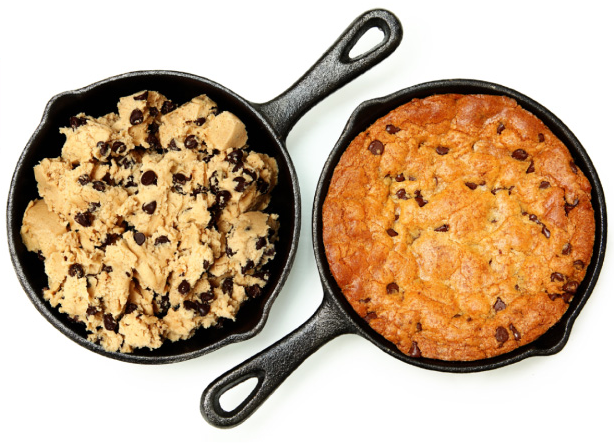 Why bake with Einkorn? Einkorn has half the phytic acid of modern wheat… and after soaking and souring… you’ve got a powerhouse grain that boosts mineral absorption, bakes into beautiful loaves, supports small farms with the highest artisan production standards, and tastes light and delicate… not at all like “health” food. How to use Einkorn… It is stickier than spelt, and easier on the tummy than modern wheat, however, Einkorn has its own quirks and personality. I’ll show you how to bring out Einkorn’s best flavors and how to substitute it into your favorite baking recipes. How to mill Einkorn and how to sift it to make the grains bake up into beautiful cakes, cookies and muffins. I'll even show you how to sprout it first to boost the nutrition! How to make an Einkorn sourdough starter from scratch or change over your existing flavorful starter to an even healthier version, without giving up the tangy sourdough flavor of your existing starter. I’ll also show you how to feed and care for your starter… just a couple simple steps and you’re on your way! How to make light, nutty breakfasts… pancakes, soaked blueberry-lemon muffins, traditional creamy porridge, and savory bacon-cheddar buttermilk biscuits. Yum! Special main dishes for lunch and dinner… grilled pizza, chilled Einkorn Grain Salad (for summer picnics), and more. 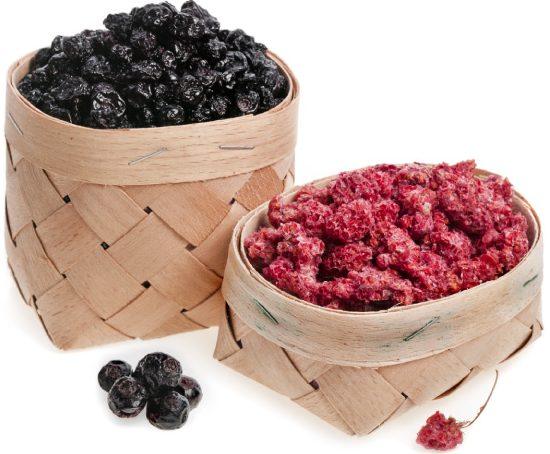 How to make snacks that the kids love (and are fully approved by leading Einkorn growers)… mouth-watering scones, chewy dark-chocolate cherry-almond granola bars, and Einkorn Champion Crackers. Ready to dive into dessert? It’s all here: Cookies (with lots of variations), Banana Bread Muffins, and Raspberry-Chocolate Tea Cake. Breads galore! You’ll become a master Einkorn baker in no time with recipes like: No-Knead Bread, Sandwich Loaf & Dinner Rolls, and thick, soft, chewy, Indian flat bread – so delicious! "You’ve helped make this transition easier... as trying to go through it on my own was very confusing. Having your classes gives me the focus and the guidance I need." ~Billie Y. 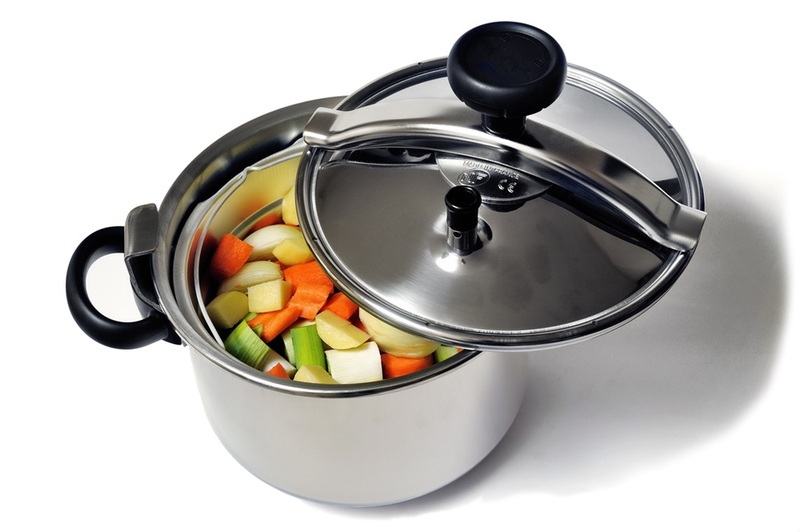 Pressure cooking is so fast and efficient, and produces amazingly tender and moist foods. In this course, I'm showing you how to use traditional methods (like soaking) and whole food ingredients in your pressure cooking so it's also healthy! And... fun is important, too, right? I believe we should LOVE what we do in the kitchen and savor the creativity and accomplishments. Pressure cooking allows us to do more with less. More in less time. More complicated dishes easily and with less mess. To produce beautiful foods for our families to enjoy. And let's face it — when our families are happy, we are happy! To follow along with this course, you can use a "smart" pressure cooker like the Instant Pot or your trusty stovetop pressure cooker. 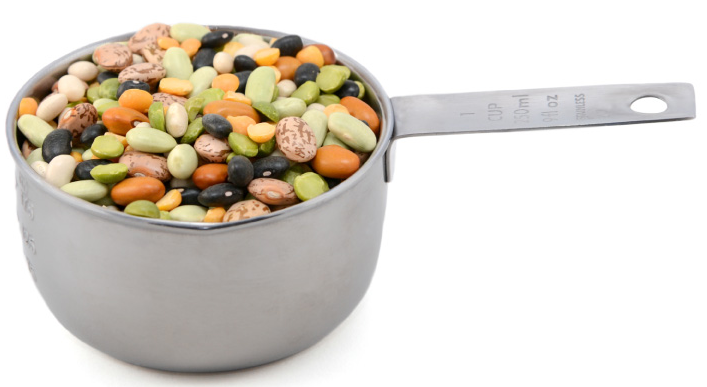 Why pressure cooking is so great! Plus, fun! How to choose a pressure cooker… lots of options out there and you want to choose the right one for your family so that it will last you for years and years, as it should! What accessories you might consider to take your pressure cooking further... cheesecake or bread, anyone? 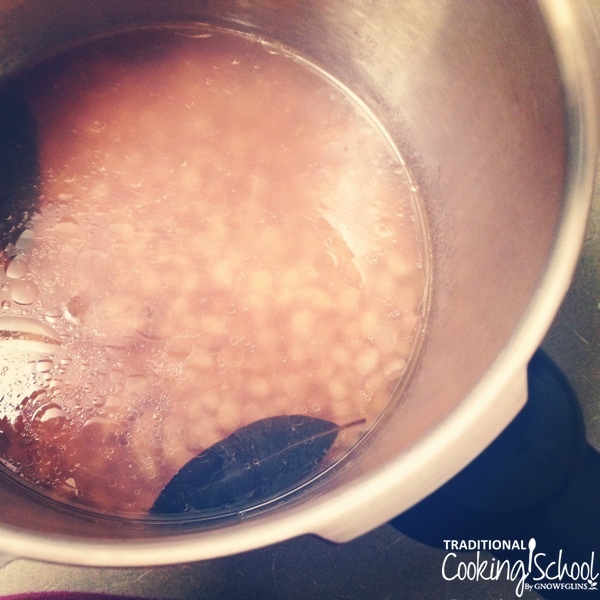 How to combine the nourishing traditional practice of soaking beans and grains when using a pressure cooker... somehow this is something that most pressure cooks and cookbooks skip but it's oh-so-important! 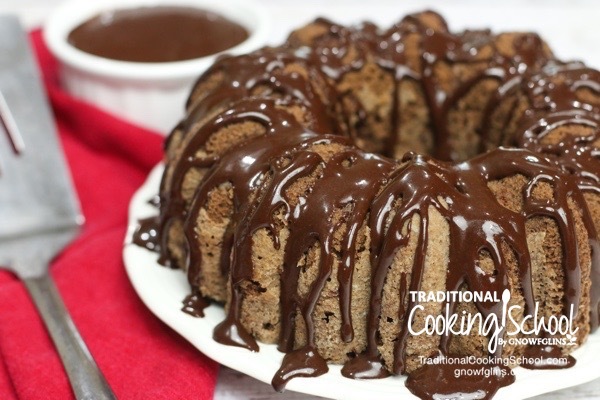 How to use your pressure cooker to create all kinds of delicious dishes and meals... from breakfasts and sides to main dishes and even desserts and breads! How to safely use a pressure cooker... we don't want any accidents! How to store your pressure cooker so it's ready to for next time... frustration-free is the key! Recipes for soups, stews, roast, breads, cheesecake and other desserts, jam, and oh-so-much more! How to use "stacking" to cook multiple foods that you don't want to mix at the same time... exactly how to do it so your softest foods don't turn to mush while the foods that need more cook time turn out perfectly done! More fast & healthy pressure-cooked breakfasts, side dishes, main dishes, desserts, bread, and even celebrations! Once again, this course features the electric pressure cooker called the Instant Pot, yet you can use any electric or stovetop pressure cooker! More fast & healthy pressure-cooked recipes for yummy breakfasts, side dishes, main dishes, desserts, bread, and even special celebrations! Christian women need health information, tips, and recipes that support all the stages of a woman's life. 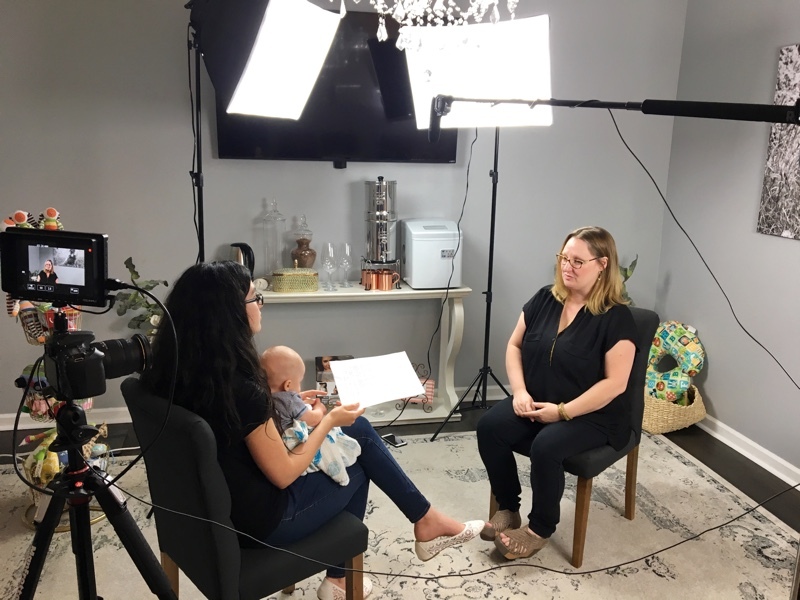 We traveled far and wide to bring you guest experts — like Penny Lane, CNM, DNP (pictured in the video and in the photo below with TCS teacher Haniya & Haniya's baby boy) — to answer your questions about Women's Health from a God-glorifying, healthy perspective. To help you implement all the foundational, natural health info, we'll get in the kitchen to share gobs of recipes and DIY tips! So you can "look good, feel good, and do good"! How to use herbs, essential oils to support health, hormones and female issues — lots of DIY recipes for infusions, teas, concoctions, and salves you can make at home! Healthy habits such as exercise, rest, and dry brushing — helping you reduce stress and toxins so you're healthier and happier! How to make natural, non-toxic, even edible homemade makeup — and lotion! And perfume! What your daughter needs to know about her cycle before it starts! And then help to prepare for when it does by exploring natural menstrual products like cloth pads and other alternatives. When to see the doctor — should you be getting mammograms, pap smears, and/or pelvic exams? How often? How to balance hormones naturally... and avoid pharmaceutical products that cause more harm than good! How to relieve PMS naturally — again, lots of DIY recipes and tips headed your way in this topic! Natural ways to balance blood sugar and improve insulin resistance, with healthy recipes for breads, desserts, and other foods that can work with a successful weight loss plan. Explore healthy sexuality... with real food "tools" to support intimate, happy, and joyful monogamous relationships. How your hormones change during pregnancy, and which traditional foods and supplements promote a healthy, happy pregnancy. Natural remedies that can help "balance" a pregnant mama — such as chiropractic care, morning sickness remedies, help for stretch marks, and more! Explore the beauty of breastfeeding — including how to ensure a good latch and provide the right nutrition for an abundant milk supply! Get help for other issues that happen after giving birth — such as diastasis recti, constipation, and postpartum depression. Lots of recipes and balanced tips here! "I’m literally in tears watching Lessons 7, 8, and 10 of the Women’s Health eCourse. I was diagnosed with PCOS years ago after years of declining health, and yet treating it with progesterone did not alleviate my symptoms. I have cysts on my thyroid and ovaries, and despite various symptoms of adrenal fatigue, hypoglycemia, insulin resistance, inflammation, and a host of other ailments, I was not treated for any of these issues. My health has continued to decline and just within the past two weeks I have had some very serious issues that landed me at the doctor’s office and then the ER this past Sunday. After following TCS for many months, I finally decided to join when I saw that this course was being offered. Everything that is being addressed are the very things that I need to do for my health. I am so overjoyed that many of the things I prayed about and had been seeking answers to for YEARS, are being discussed in this course. I have felt so alone for so long and even though I made very dramatic changes to my diet (like quitting sugar over 2 years ago), and have been preparing many traditional and healing foods for years now, I had not found complete healing and have gotten worse. I wanted to say thank you to you all for allowing the Lord to use you to bring this knowledge to so many. I feel that this course was designed specifically for me. In all my years of research, I have yet to find a resource like TCS that covers every area of health and healing that I have been looking for all in one place. Thank you Wardee, Haniya, Megan, and Lindsey for sharing your wisdom and creating this class. You have touched me and renewed my hope. May God’s blessings be upon you." ~Ajene G.
Thank you! She tackled the complicated issues! "I am so impressed by the in-depth discussion with Dr. Lane in Lesson 4 of the Women's Health eCourse! Thank you giving her the time to fully discuss all the complicated issues she addressed. She did a good job with the spiritual side as well as the practical side of these important life decisions." ~Lee B. Breast milk is the perfect food that sustains our babies for months, even years. From the very beginning, breast milk colonizes the infant gut with probiotics, seals the gut lining so particles can’t leak through, and so much more. Yet babies don’t stay babies forever. Eventually, we all must transition from milk to “meat”. Or rather, Wardee's daughter and grandson will show you how! That's him in the video above and he will be "teaching" you in all the class videos as well. Along with his mom, Haniya, of course! 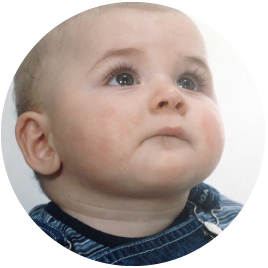 You see, until around the time of their first birthday, babies have incredibly open palates. They want to explore, play, and experience with all of their senses. So, now is the time to give baby all of those foods you know are nourishing — like bone broth and liver. Your baby will, at the very least, give them a taste or two. Most likely, he or she will develop a liking for them and that will make him or her stronger and healthier! 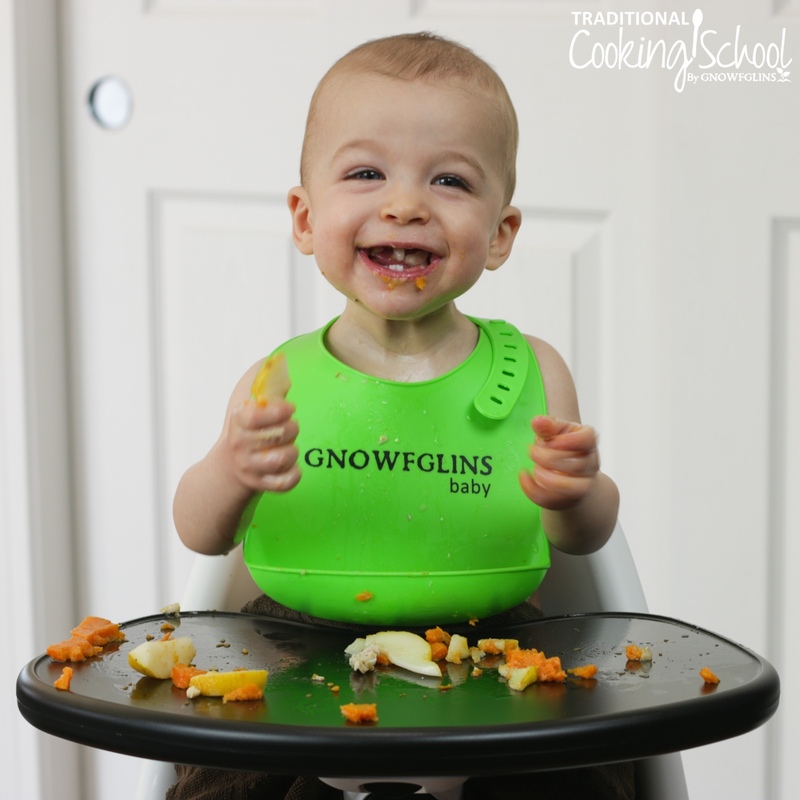 We’re so excited to get in the kitchen with you again, this time with a bib and high chair! 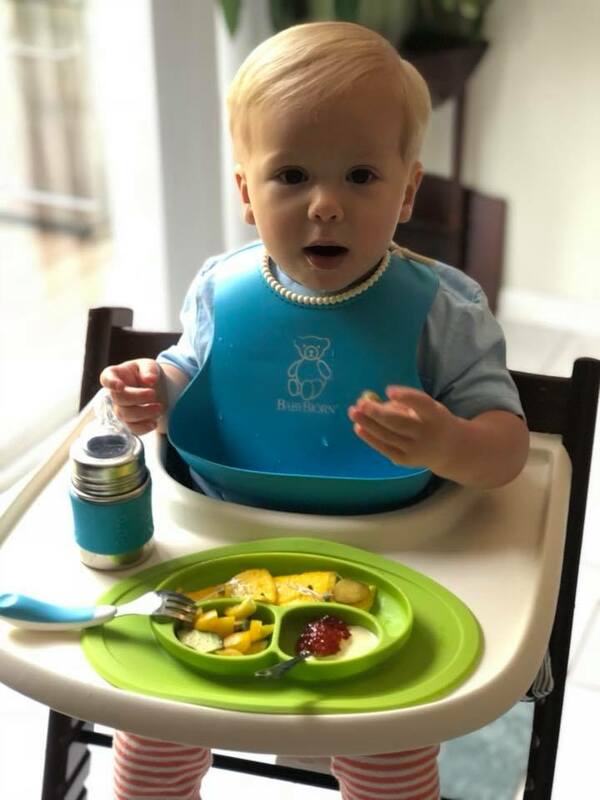 If you would like to purchase one of our "GNOWFGLINS baby" bibs for your little munchkin (25% OFF while supplies last)... go here. How to help baby "eat the rainbow" — to love gobbling up all the beautifully colored fruits and vegetables God created! Lots of recipes — snacks, main dishes, superfood popsicles, and even a no-sugar, no-flour "first birthday cake" that will make your baby pound the table with joy and anticipation! And much more... all captured on video with helpful printable tutorials you can keep handy as you raise your own healthy GNOWFGLINS baby who loves real food! "I absolutely love your course! 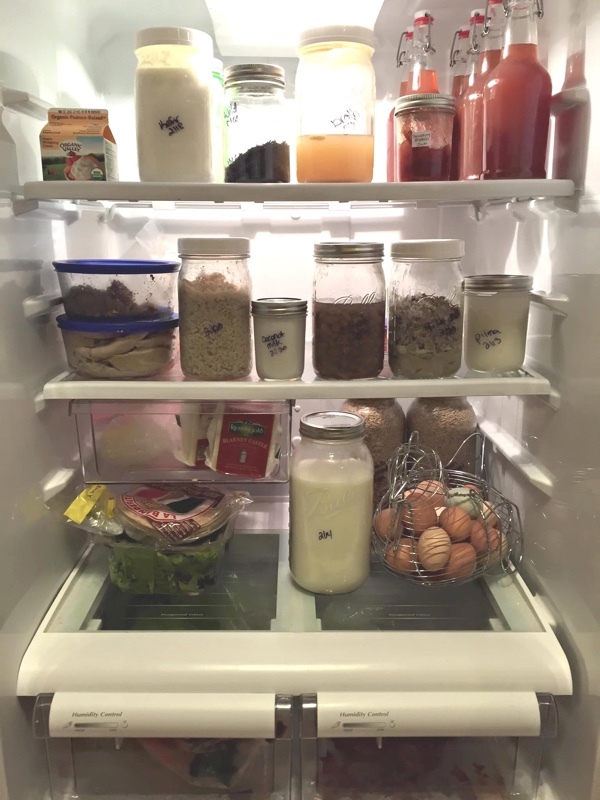 You have done such a great job referencing different resources and sharing great nourishing recipes! My boy already has a bottle recommended by you as well as the ice cream molds (can not wait for the recipe!!) Your hard work is much appreciated!" ~Olga B.
I (Wardee) remember what it was like when I first started exploring traditional cooking. I armed myself with the best book I could find and bravely marched into the kitchen — for a while, all I managed to make were uber-dense loaves of bread and a couple of mini kitchen explosions. It’s funny now, but it sure wasn’t funny then! That’s why I’ve gathered together an all-star cast of the kindest, most nurturing and supportive teachers ever — to teach you traditional cooking. Erin Vander Lugt teaches Sourdough, Fermentation, Cheese making and other classes for TraditionalCookingSchool.com. Katie Kimball runs a popular blog called KitchenStewardship.com. 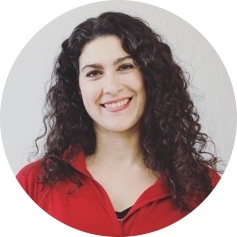 She teaches in our Sourdough, Cultured Dairy, and Real Food Snacks classes. Melissa Norris lives back to basics and loves all things from scratch, so she's perfect for teaching Cooking Outside. She blogs at MelissaKNorris.com. 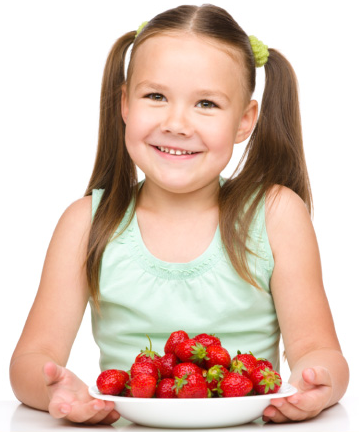 Jami Delgado teaches Real Food Kids, Dehydrating, and Allergy-Free Cooking. Megan Stevens teaches Allergy-Free Cooking and blogs all things gut-healing at EatBeautiful.net. Haniya Cherry is my (Wardee's) daughter — she does a ton of editing and cooking behind the scenes and is a teacher in Einkorn Baking, Pressure Cooking, Women's Health, Healthy Baby, and more! 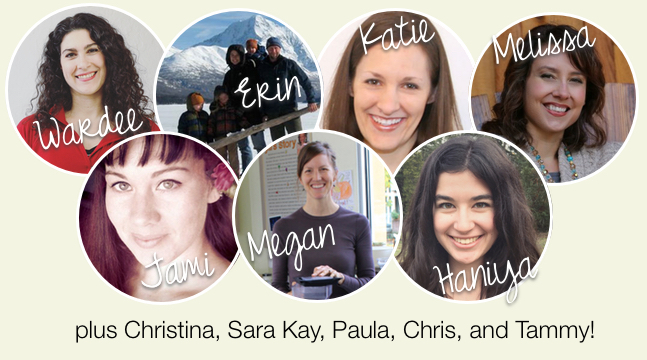 Plus, Christina, Sara Kay, another Jami, Paula, Chris, Tammy, Lindsey, and other special guest teachers! Watch The Video, Make The Recipe, Check It Off The List. The Traditional Cooking School Classroom is just like a real classroom but without the stress of finals or term papers. Everyone succeeds here. When you enter the private member Classroom, you’ll see all 14+ Courses. You can take 1, 2, or all of them at once. Take them in order or skip around. It’s up to you. As you move along, you can track your progress and celebrate your achievements. Here’s how it works. 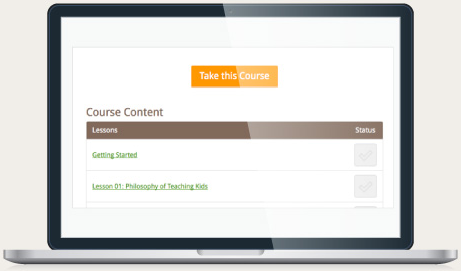 Browse the modules (courses), and click “Take this Course” to get started on your favorites. 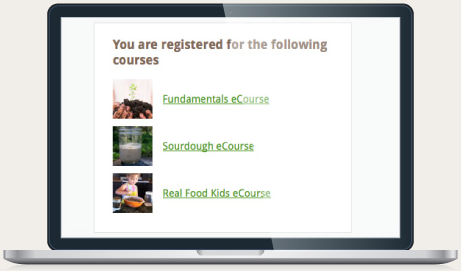 Look at the sidebar to see all the Courses that you have registered in — remember, you can register for as many as you like, or for just 1 at a time. 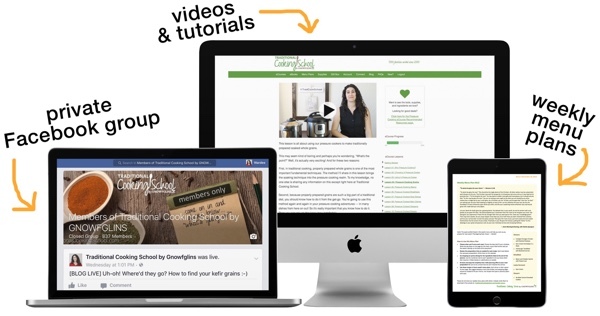 Click on any lesson in your registered Courses — you’ll see all the videos, recipes, lessons, printable tutorials, bonus articles, audios, and links to your private members-only Facebook group, as well as links to helpful community resources. 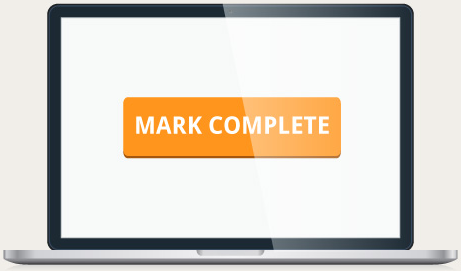 When you’re done with a lesson, click “Mark Complete”. 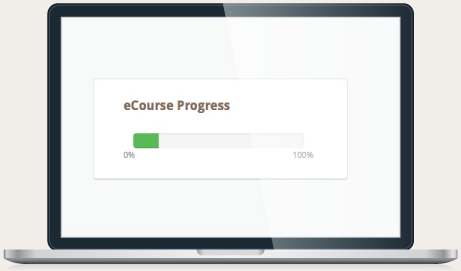 The eCourse Progress Meter will show you how far you’ve come. You can come back any time and pick up right where you left off! 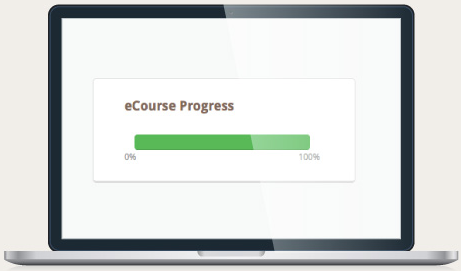 You’ll know you’ve completed the course when the eCourse Progress Meter turns a solid green. And, when you’re done with a course, you can take the quiz. 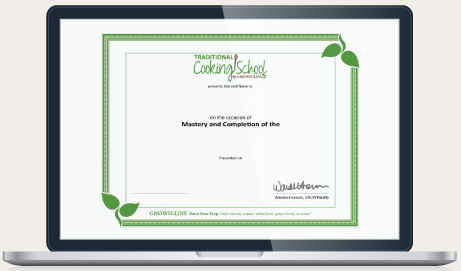 You’ll get a printable Traditional Cooking School certificate on the spot with a passing score! At mealtime, you have 2 choices: eat in or dine out. A typical meal out for our family costs $75. If you multiply that by several meals a day and several meals a month, it quickly drains the food budget. Plus, the food preparation is not traditional. That means when our family dines out, we are limited to only 1 or 2 items on the menu (if that…). So, we end up eating lower quality food and paying more money. Your other choice is to cook dinner yourself (and get the kids to help). If you don’t have a traditional cooking grandmother to teach you the methods, you’d be lucky to find a private cooking class in your town. They’re very rare. On the other hand, Traditional Cooking School’s Pressure Cooking I class (all by itself) contains 11 hands-on lessons, each with video demonstrations, printable tutorials, bonus articles and other resources. If you had to learn each lesson in a group cooking class, you’d pay $99 times 11 lessons… that’s $1089, and you still wouldn’t get the videos, eRecipes, and other resources. If you wanted to take all 14 of our eCourses live, that comes to $16,236.00… plus you’d have to hire a sitter for the kids, pay for gas, and rototill your schedule to allow for 236 weekly lessons (that’s more than 4 years of cooking classes). And that assumes you could even find a class on the specific technique (like sourdough or lacto-fermentation) that your family needs. Again, very rare. Membership in Traditional Cooking School is only $47 per month. It’s a clear bargain. You won’t find classes like this anywhere else, at any price. And here’s a special offer: I want to give you 3 months of Traditional Cooking School as a free gift. For a limited time, you save 25% when you pay for a 1-year subscription — that’s a savings of $141. That’s the same thing as paying for 9 months and getting 3 months free. It’s a terrific bargain, but it won’t last forever. 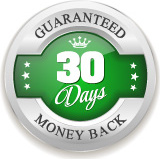 Remember, this special package is backed by our full 30-day, 100% guarantee. No questions, no hassles. To get started, simply click the Join Now! button below. We know you’ll love loading up the family dinner table with life-giving meals created with the skills you develop in Traditional Cooking School — so we are backing you with a 30-day 100% Satisfaction Guarantee. During your first 30 days of your new membership, if you decide that Traditional Cooking School isn’t for you, I will refund 100% of your purchase — no questions asked. Even though these are on-line classes, I can’t help unlimited members. Traditional Cooking School is my "other" baby, and I pour my heart and soul into it. Every member gets my personal attention. 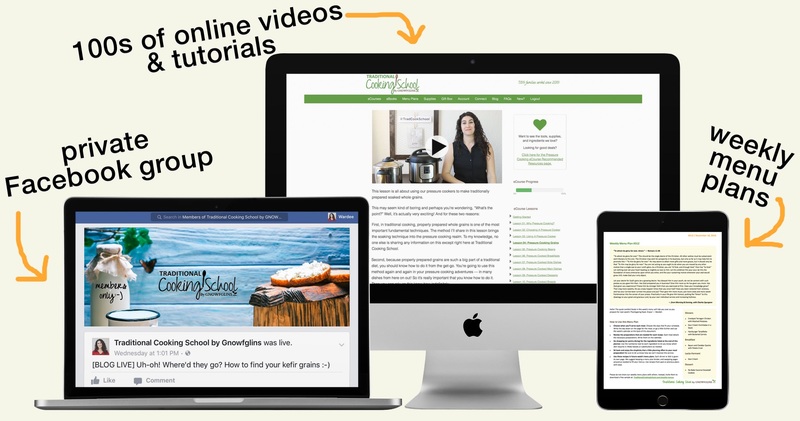 I answers questions, adapt recipes, and even create new hands-on video demonstrations when enough members share their interest in new topics. If you think that Traditional Cooking School is for you, then please give it a try. Remember, you can cancel your membership at any time. (If you cancel within the first 30 days, we will refund your entire purchase price.) So you risk absolutely nothing. Now is your time to break free from the limitations and misery of meals that wear you out and make your family sick…. You can transform your dinner table into a gathering place full of laughter, love and life-giving food. Plus, for a limited time, you can get 3 months of your membership for free (you'll see this option when you click through to the order form). Use your credit card and click the Join Now! button below. Decide whether you want to get 3 months free (when you sign up for yearly and pay for 1-year in full), or choose the convenient monthly payment plan. Receive instant access to the Traditional Cooking School classroom. 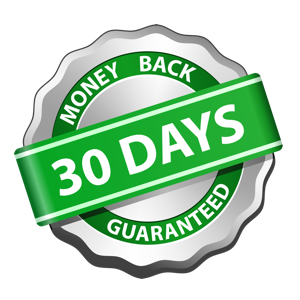 Again, you are completely covered with our generous 30-day 100% money-back guarantee, so you don’t risk anything. Don’t let this opportunity slip away. Just order right now, while you’re thinking about it. Here are the most common questions and answers about Traditional Cooking School. Wow! Membership includes a lot! Where should I start? How can I keep it simple? We offer a New Member Orientation to help guide you through navigating the member's area. You'll see it when you first log in. Make sure to do that. Then, our Fundamentals eCourse is perfect for beginners or those who want to keep it simple. And when you're ready for more, all the other eCourses will be waiting for you! Is this just a bunch of recipes or is there more to it? Traditional Cooking School is sooooo much more than recipes! Over the years, we've done all the hard work of practicing techniques so you can skip to the tried and true. Our methods are easier, our recipes are easier, and everything is healthy as can be. We support you through our private online community, by email, and through our monthly member meetings. We help you put into practice what you're learning in the classes by giving you weekly menu plans that you can simply carry out (instead of worrying everyday "what's for dinner?"). And finally, in our opinion, and we've heard from many others, our classes are second-to-none. We include the what, why, and how for every topic, so you learn how to do the method as simply and nutritiously as possible, and you UNDERSTAND why you’re doing it. So yes, Traditional Cooking School is more than just recipes! We’re family…. and we want to give you everything you need to succeed! So you and your family can "look good, feel good, do good"! 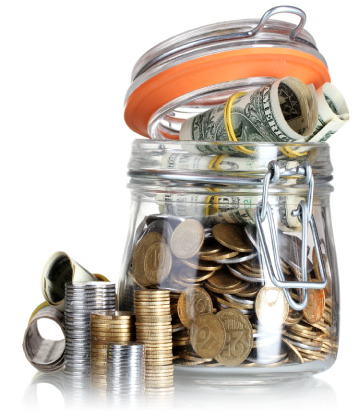 Should I choose the monthly or yearly plan? Although you can choose either option, when you choose the annual plan, you’re saving money over what you'd spend monthly (it's 25% OFF) and you're making a firm commitment. Making the change to healthy eating doesn't happen overnight, it takes time. We advise one lesson per week, which is simple to do when you think about it. Yet, now think about what will happen if you do that for a whole year, then two years! You'll cover a lot of ground! We feel strongly — actually we KNOW — that you’re more likely to succeed if you commit to a longer length of time. If yearly isn't an option financially, then please know that you can upgrade to yearly at any time and we'll work with you, even pro-rating your current month's payment so it's a smooth transition without any money lost. Is there a required class schedule? Lessons are self-directed so you can move as quickly, or as slowly, as you like. One lesson per week works best for most of our Traditional Cooking School students.Some people do every lesson and every module in order. Some people skip all around to get a taste of everything. It’s all up to you! Do I need to be sitting at my computer at a certain time? No. Lessons are pre-recorded for your convenience. You have 24/7 access to them. We often create brand new modules and lessons. The newest videos will be released on Tuesdays or Wednesdays. You can check in on Thursdays to see the latest lessons hot-off-the-presses. Can my family members take the courses with me? Yes. You may share the courses and the features of membership with your immediate family in the same household. If your children are taking the courses, they can take a quiz for a course they've completed, and you can print the certificate our system generates and put their own name on it, so they can feel the pride of accomplishment! ​What if I'm not on Facebook and can't ​access the private group? ​Not on Facebook? No problem! We're happy to support you via email or the monthly members' meeting​. Plus all the course materials are on our private site, so you'll have access to everything​! What kind of internet and computer do I need to get the most out of Traditional Cooking School? A high-speed internet connection and a newer computer that can stream videos and download large files works best. 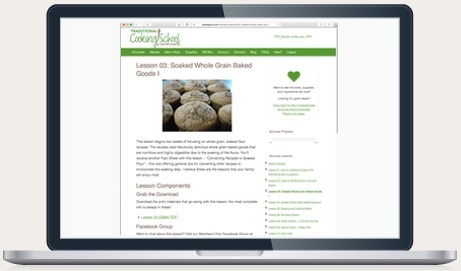 Traditional Cooking School is optimized for Firefox, Safari, and Chrome. To speed things up: increase the cache limit in your browser to at least 500mb and clear the cache regularly. 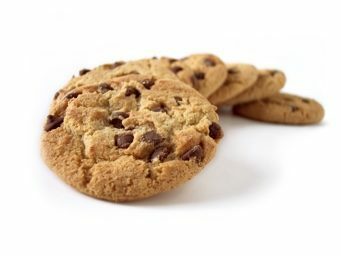 Cookies must be enabled to log in. The member area and videos work on most mobile devices, but we can’t guarantee 100% compatibility. We solve glitches as soon as we discover them and do our best to make our site user friendly. I'm not a believer. Is religion a heavy theme at Traditional Cooking School? We focus on the techniques of preparing real foods using traditional methods that preserve or enhance the nutritional value of the original ingredients. Our philosophy: At Traditional Cooking School, we believe that God is our creator and the source of all things good. God is the “why” for all that we do, including the way we cultivate, harvest, prepare and eat foods. That’s why we share our love for God and explain how we can see God’s design in our food. This resonates with most of our members, though some participate solely for the techniques. We are happy to help you either way. Do you use lard, pork, or any other unclean foods at Traditional Cooking School? Our materials do not require use of any Biblically unclean foods. If a recipe lists an unclean food, Biblically clean alternatives are listed as well. You're in the United States. Are your classes and recipes suitable for those overseas? Yes, our classes and recipes work for traditional cooks all over the world. If you have trouble finding ingredients or equipment, please visit the private members' Facebook group to find other members in your area who can quickly help you get what you need. I'm on a special diet (gluten-free, dairy-free, GAPS, gut healing, etc.). Will your classes/recipes work for me? Yes, our classes and recipes work for special diets. You see, we not only include recipes, we teach fundamental techniques (like fermenting, making broth, culturing) that are important in so many healing diets. We also have many allergy-friendly recipes, so whether your issue is gluten, dairy, eggs, or you're on a special diet, you'll find lots that works for you! You can cancel at any time using an easy cancel link in the private members area. We hope you don't cancel, but of course we understand if you do. "I am so stoked that my sourdough starter is so happy right now! I took it out of the fridge last night after two weeks. I had fed it pretty thick before doing that and figured it would take a couple days to perk it up. Nope. Two feedings and it is so happy that I had to use 75% of it and it is still trying to overflow after its latest feeding. And I made a successful 100% sourdough risen bread. No commercial yeast whatsoever. Heehee!" 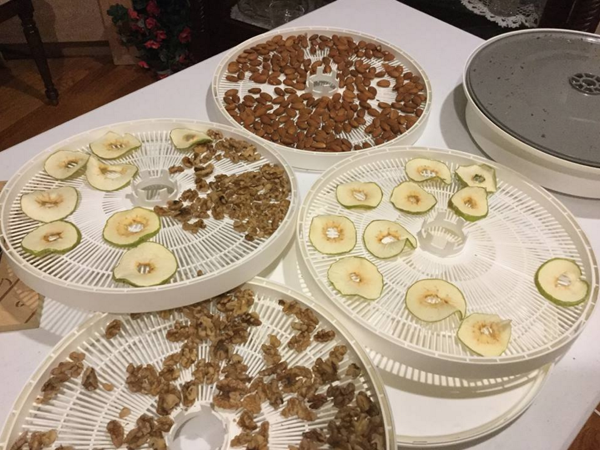 ~Kelly H.
"Just dehydrated Granny Smith apples, walnuts and almonds! Yum! Thanks for the Dehydrating eCourse, Wardee!" ~Ruth B. 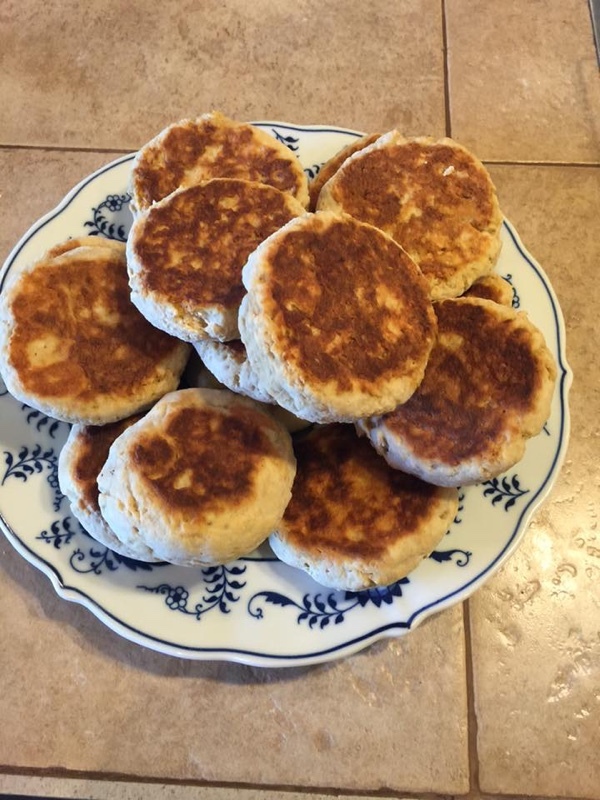 "Made a double batch of gluten free sourdough English muffins today using Erin's recipe from the Sourdough eCourse. I used my buttermilk from yesterday's butter making. These are so much lighter and fluffier than my first batch. I am so happy with how they turned out. Half of them are in the freezer but they were disappearing quickly. I enjoyed mine with homemade butter and homemade spiced pear butter. Num! ‪#‎littlewinsBIGdeal" ~Kathleen C.
"HOLY, HOLY SMOKES!! 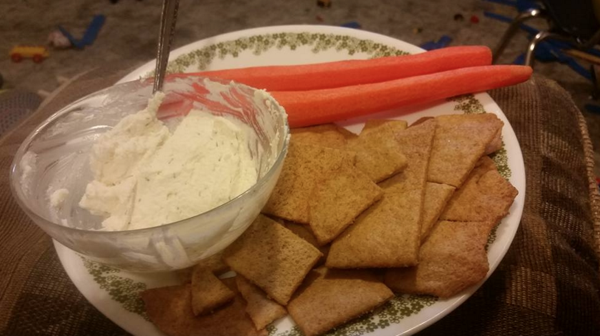 I had no idea homemade crackers could be so GOOD!!" ~Rebekah H.